Should pay be displayed on job ads? Andy Mayer shines a light on why jobs are so frequently advertised without stating the salary in the digital sector. Recently an interesting discussion got started in the Sheffield Digital Slack community about the negative effects of job adverts that don’t display salary ranges. Salaries are certainly a hot topic and prompted a discussion at our last board meeting around why job adverts are so frequently advertised with no indication of salary in our sector. We discussed what Sheffield Digital could do to help the issue, and if we should make it mandatory for our job board to display a salary range against each job advert. As a result of this conversation, I volunteered to write this blog post about my experience in the hope that it will encourage wider discussion on the issues and help us implement helpful guidelines for posting jobs on our website. A few years back, when I was managing a large staff team at Yoomee, I realised our practice of not disclosing salaries on our job adverts could be considered unethical because we weren’t treating staff equally. It was holding us back and proving detrimental to our company culture of respect, transparency and honesty. Pay transparency is common in the public and voluntary sectors, but still relatively rare in the private sector. Many digital agencies still don’t advertise jobs with salaries against them. Those members of our team who’d previously worked for low-paying employers were disadvantaged compared to those who’d come from high-paying companies. Also, in the rush to hire new people we needed to advertise above-average salaries to attract the best, which meant some existing staff were disgruntled at being paid less than new starters. 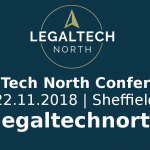 I discussed this issue with Benchmark Recruit, one of Sheffield Digital’s associate sponsors. They work closely with Sheffield companies and are privy to decision makers’ insights. In a market where digital candidates are in demand, and employers are looking to make their business the one of choice, salaries play a key role in attracting and retaining staff. The solution I settled on at Yoomee was to implement transparent pay scales so that each individual’s pay could be roughly calculated based on a formula, shared and understood by the team in a transparent way. Pay scales are completely normal in the public and voluntary sectors, so why not in our sector too? Starting with the development team, I implemented a pay scale formula based on and the number of professional years’ experience in that role, with a small upper and lower limit based on performance. Once we had a pay scale in place, then it made life a lot easier; we could advertise jobs and state the salary range publically without any issues. Our recruitment process was more time efficient. For example, we avoided losing potential new hires after the interview stage because the salary to be offered was no longer a big reveal at the end of the process. Staff morale was improved as the existing team could see clearly their salary would increase year on year, as dictated by the pay scale formula, based on years of experience. Company values of transparency were emphasised as individual developer salaries were no longer secret. Everybody could get behind trying to hire new staff because they could calculate the salary to be offered. My annual reviews with employees were a whole lot easier as I didn’t need to negotiate with 20 individuals every year, trying to remember who was due a pay rise or not. Based on this experience, I would strongly recommend every digital business owner implements transparent pay scales because it makes life a whole lot easier in terms of recruiting and helping staff feel in control. It also means you have to consider the overall package you’re offering to employees, not just salary. 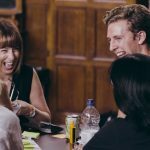 In Benchmark’s ‘Hard to Fill Vacancies and Skill Shortages‘ research with Sheffield City Region the report showed people prioritise their benefits, such as flexibility, over salary, so it’s no longer money that does all the talking. It could be argued that all companies getting on board and being transparent about salaries would mean the industry would fall in line and raise standards for all employees. 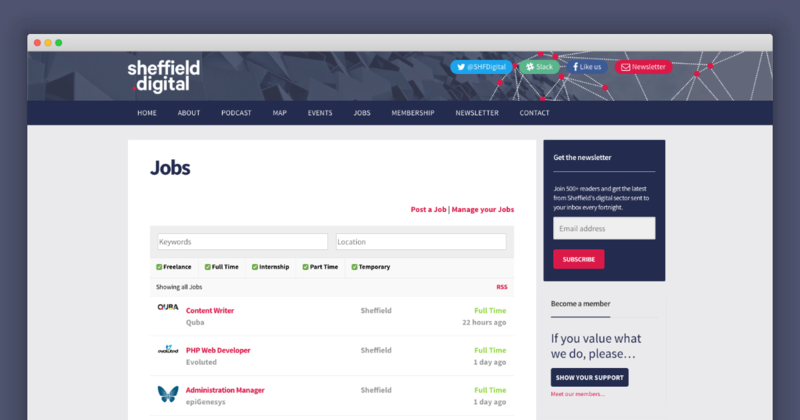 Therefore, I suggest that Sheffield Digital sets a positive example by encouraging all employers advertising jobs on our job board to state the salary range offered for the job, with an indication of how it’s calculated. Let me what you think about this in the comments below. Andy is the founder of Yoomee, which is a social enterprise on a mission to help non-profits understand and harness the latest developments in artificial intelligence. They develop products that engage with humans using natural conversation. Andy has spent the last 12 years helping non-profits innovate like tech startups, using methodologies such as Lean Startup and Agile.